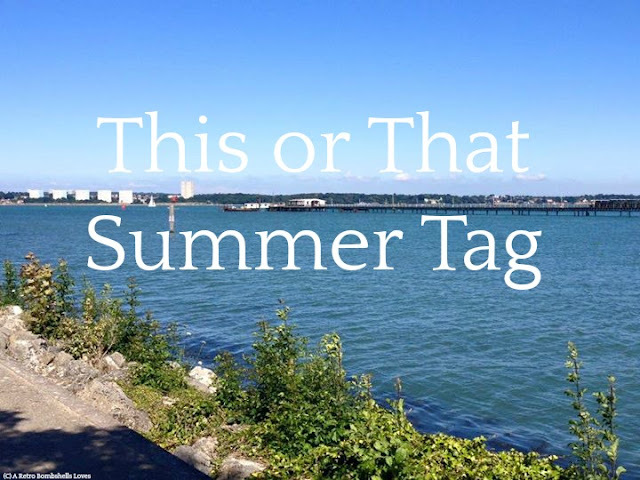 Whilst scrolling through Twitter the other day, I came across the This or That Summer Tag over at Underland to Wonderland written by Danielle, you should definitely go and check her out and thought I'd do it myself too. Tag posts are something I love they are fun to do and you get to learn a little more about me, with summer slowly fading out why not try and hold on to it a little longer? to be honest, this is one of the first tag posts I have seen around the blogging world for a while. Wilderness definitely, for me the further out of the city away from the hustle and bustle the better. I prefer One Piece but I do own a bikini too that I've never worn since the day I bought it. I eat both but I would rather have an Ice Cream, I had the best ice cream I've tasted in a long time on my last Toronto trip, it was a Wendy's Frostie. I really love this idea for a post, I need to make one of these myself.